Vapexpo is THE reference, the ideal place to promote products and materials, to meet national and international actors. 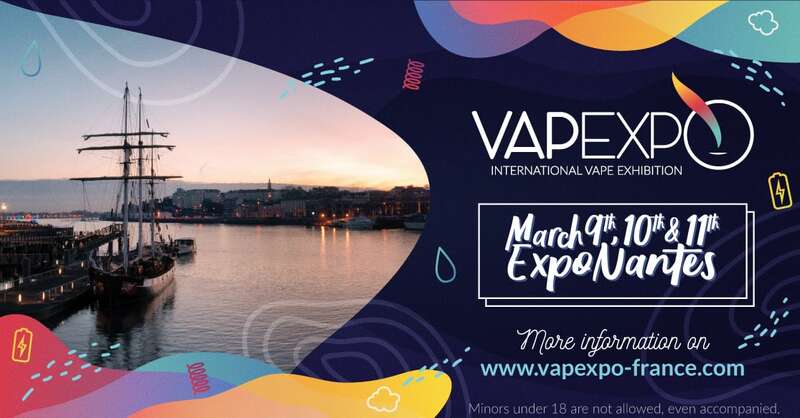 Since its first edition in Bordeaux in March 2014, VAPEXPO confirmed its leading position in the International Trade Shows organization dedicated to vape and its actors. E-liquid and equipment manufacturers, modders, wholesalers, shops managers, health professionals, reviewers… the whole world of vape meets at VAPEXPO! Patrick Bédué, president and founder of VAPEXPO, passionate since ever, and all his team are looking forward to meeting you for the next edition of VAPEXPO!